Jon is the musical director of three choruses and is a published arranger in the barbershop style. The melody of a song is the part that people hum or whistle when they have a song stuck in their heads. If there's a sing-a-long, most people involved will sing the melody, since that's what they know best. When people sing Happy Birthday To You, it's the melody that's heard most prominently. Now, with most styles of singing, the melody is usually the highest part. In church hymnals and most choral music, for example, the sopranos have the melody and all the harmony parts are sung on lower notes. The altos are right below the melody, then the tenors, and finally, singing those very low notes, the basses. In barbershop, the melody is usually not the highest part. The tenor sings above the melody, then comes the lead (he sings the melody) and baritone, who are constantly swapping places, and finally the bass who, once again, sings those very low notes. Barbershop is not the only style that utilizes this structure (gospel quartets also use it), but it's the first element that starts to separate it from other styles. The melody is in the lead part, which is the lower notes in the upper staff (the ones with the downward stems). A musical chord is when more than one note is sung or played at the same time. In barbershop, there are four singing parts, so most of the time we hear four-part chords, and one of those four-part chords is called the Dominant Seventh. 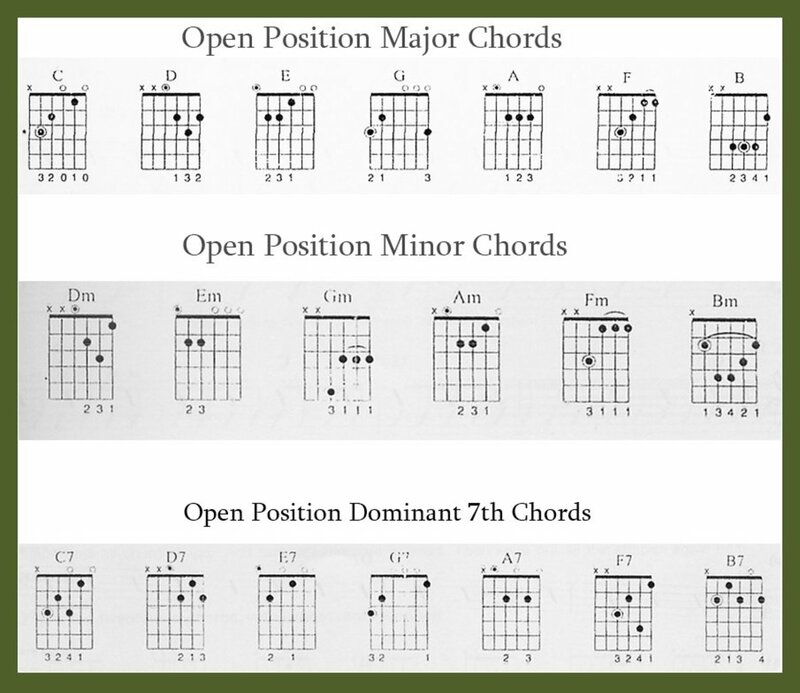 Down through the years, chords have been given names to help musicians communicate more efficiently. 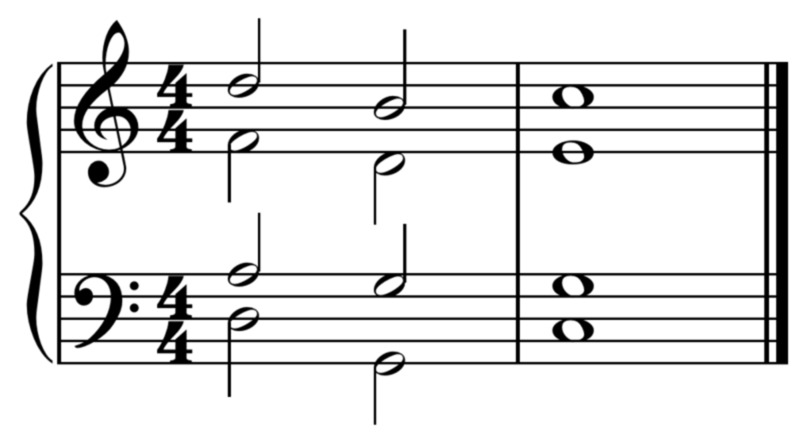 Since I'm keeping things simple here, I'm not going to explain why one of the chords was named the Dominant Seventh, but suffice it to say that this particular chord, especially a version of it called the Secondary Dominant Seventh, is so prevalent in barbershop music that it has come to be known as the Barbershop Seventh Chord to many musicians. The dominant seventh chord is found in virtually every musical style of the western hemisphere, but in barbershop, this chord is used as often as possible. 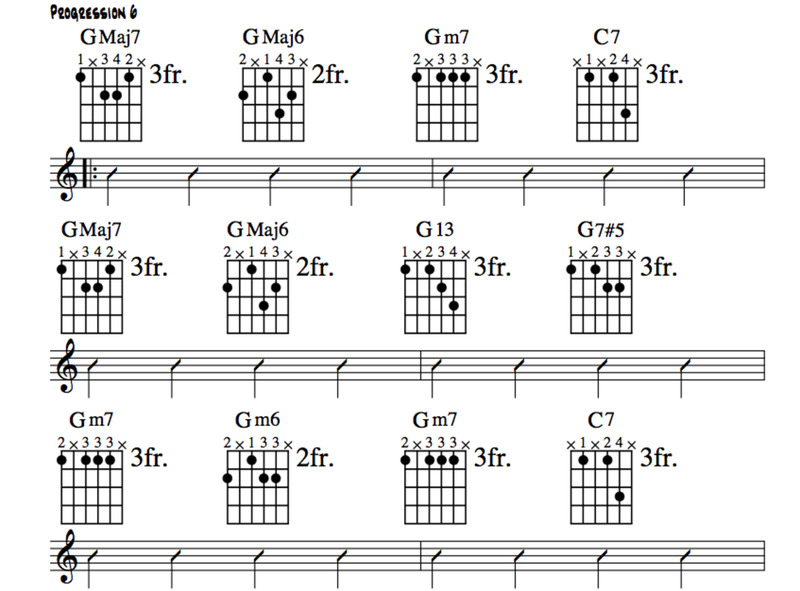 In a typical, traditional song, 35 to 60% of the chords are dominant sevenths. Though many early barbershop quartets (the late 1800s to the early 1900s) used musical instruments to accompany their singing, most modern quartets sing in the a cappella style, which means without instrumental accompaniment. The reason they prefer singing a cappella is because they can "bend" notes in order to make the chords sound better. On many musical instruments, such as a piano, notes are separated from each other in a mathematical way that allows them to sound pretty good in any musical situation. Chords sound better, though, when some of their notes are altered a bit. The reason why is because sound waves are involved, and sound waves don't follow a simple mathematical system. The human brain can detect when a chord "locks" into place, and most singers, with experience, can automatically adjust their notes slightly up or down to make a chord sound better than when played on an instrument like a piano. A locked chord is called so because once achieved, the singer feels vocally locked into place. 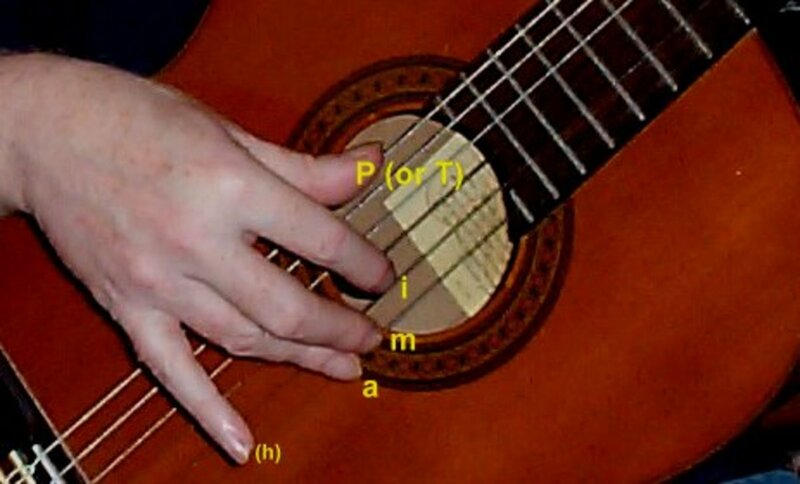 It's a strange sensation, actually, because it becomes difficult to move up or down once the chord has locked. Although bending notes like this is technically known as Just Intonation, in barbershop circles it's often called ear singing. Each of the four singers must listen to the other parts while singing their own. By using their ears (listening), they are able to determine when to raise or lower a note in order to achieve a locked chord. Finally, here's a series of chords where the first one is ear-tuned, the second is evenly tuned, the third is ear-tuned, and so on back and forth to allow you to compare: Good, Not so good, Good, Not so good, Good, Not so good. (© 2013 Jon Nicholas) The difference is quite subtle, but the ear-tuned chord locks into place better. If you're having trouble hearing the difference, don't worry, most people struggle with it. Here's a tip: Try listening to the highest note in the chord. Which high note sounds more pleasant? If you listen to a really good barbershop quartet, you may find yourself wondering who is singing those amazingly high notes. You can pick out the note the tenor is singing, but there are notes even higher coming out of the group. Sometimes the notes are so high, you can't believe a grown man could sing them. Well, that's because they aren't singing them. You're hearing overtones. An overtone is a natural phenomenon that occurs when sound waves rub against each other and produce a higher note. Overtones are occurring all around us every day, but most of the time we don't notice them because they are fleeting and usually soft in volume. In a well-tuned barbershop quartet, however, overtones are enhanced, sometimes even to the point where the loudest note is not being sung by any of the four singers. Since each voice can produce its own overtones, it's quite possible to have a five, six, or even an eight-part chord being sung by four people. Any time that overtones can be heard during a song, barbershoppers, if you will, call this expanded sound. Expanded sound is a wonderful experience for both the listener and the singer. Listeners are treated to a sound that cannot be duplicated on a typical musical instrument. One of the most common effects of listening to this sound (especially when it involves the above-mentioned barbershop seventh chord) is the rise of goose bumps on the skin. I've heard countless people tell me this after a performance. The singers, on the other hand, are feeling something that is hard to describe. It simply must be experienced to be understood. By the way, another benefit of this phenomenon is that the singer can relax his volume a bit because the over-all volume has now increased with the addition of the overtones. Unlike most singers in other musical styles, barbershoppers actively work towards producing overtones. I've covered four of the biggest reasons why barbershop singing sounds so unique, but there are more reasons than that. 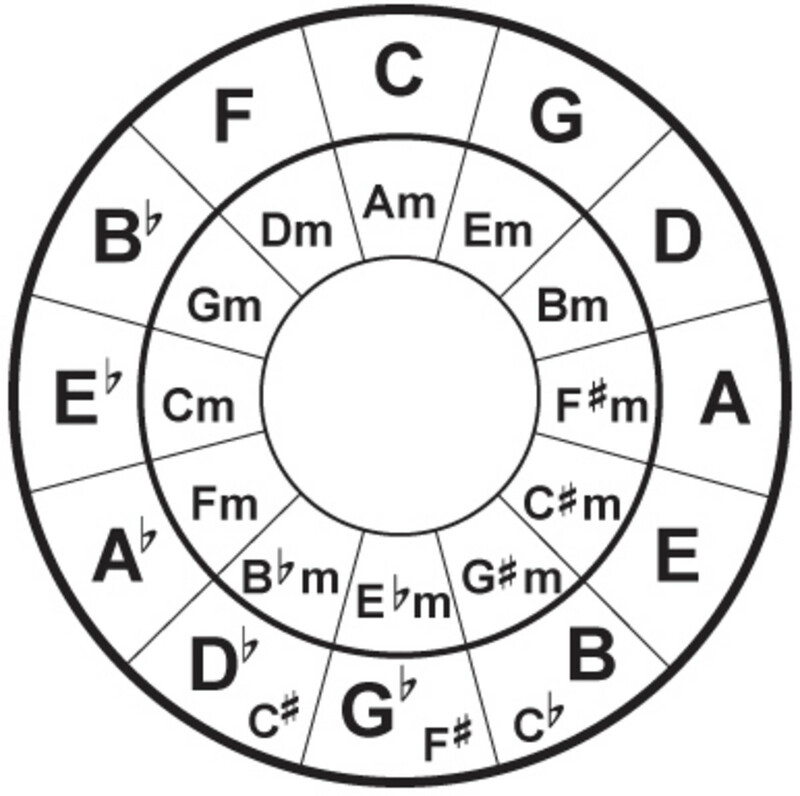 For one, there's a little thing called the Circle of Fifths, and a classic barbershop song moves around that circle quite a bit. You may want to do your own research on the topic, but to keep it simple, most modern songs do not travel around the circle very far. 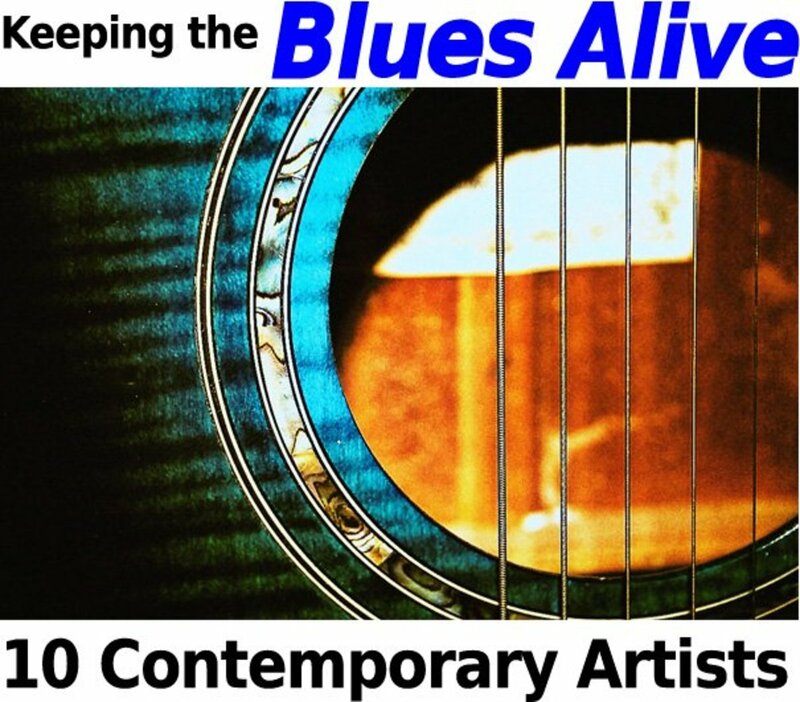 Conversely, songs from the early days of American Popular Music, including those from the Tin Pan Alley era, do and this is why so many barbershop songs are from days gone by. There are many modern songs that are sung in the barbershop style, though they usually don't have a high percentage of secondary dominant seventh chords (partially due to the fact that they don't travel around the above-mentioned circle), but they still sound barbershoppy because they utilize several other elements I've mentioned in this article. Some people call this BarberPop, and it's a wonderful new subset under the broader umbrella of barbershop music. You want more reasons? Okay then, but you'll have to research them yourself because I'm keeping it simple here. Want to know more about the genre? I've read this book and it's very informative about the history of the barbershop quartet. If you're serious about learning about the genre, I recommend it. 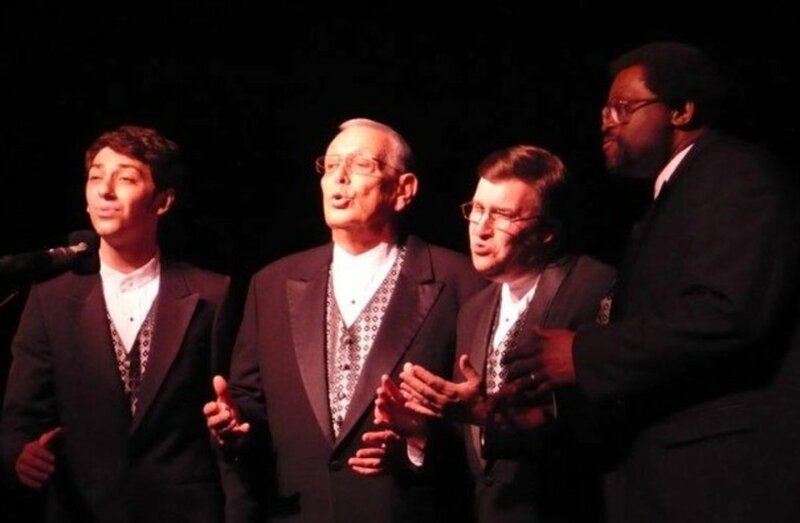 Have you ever heard a barbershop quartet or chorus in a live performance? Sang barbershop for 26 years and love it. I cherish those years and appreciate anyone who can make those chords ring. It takes lots of practice, but when you hear the end result, it's worth it. Thanks for the lessons. A great article, recommended for reading by all those new to our craft. Drayton, thank you so much! Coming from a true legend of barbershop like you, it only means that much more! Garry, I've seen it happen countless times! One ringing chord, and they're hooked! And just that quick, the rest of the music world now knows what I've been learning and trying to share of the draw to barbershop harmony for the last 15 or so years. That special mix of sound, feel and surprising progressions is unmatched. Combined with the comradre and amazingly energetic, talented directors (for me, that was you) and the secret is out. Thanks, Jon! Barbershopping has been a "way of life" for me, and over the years I've read and heard many efforts to provide a brief, concise description of what makes our art form different from all others---and a description that is specifically worded for the man on the street. Yours is the best I've seen. Kudos! I think that any singer would be "hooked" on Barbershop singing the 1st time they hear the chord they are singing "ring". You can't beat the feeling that you get ! Thank you, Frank and Steve! Jon, I've been privileged to sing, direct and coach this marvelous art form since the early '50's. Your wonderful explanation is the most concise and easy to understand I have ever seen. It is now required reading for all of my students, quartets and choruses. Great job! We use both the glissando and the swipe (slur) in our style. Thanks for a succinct and entertaining article about barbershop harmony. I've been singing it for about 13 years. You nailed the high points about what makes the sound so attractive. But a person can't really understand the feel of that harmony until they experience it. I hope your excellent article draws more singers/non-singers into trying it. Many thanks! An accurate lead (or professional singer) will sing a fifth as 3/2 of the tonic, a third in 5/4 ratio, and a barbershop seventh as 7/4. Suppose that a singer had never heard a tempered instrument, such as a piano. Why would they sing a tempered scale? Has someone tested an accurate lead to see what pitches he actually sings? Cool article. For the last bit, I think a swipe would be closer to a glissando than a slur, since a slur doesn't include "the notes between the notes." The Wikipedia article for "slurs" doesn't really describe the same thing. "On musical instruments, notes are separated in equal distances from each other." This might be misleading for some, since orchestral string instruments are not fretted and often use just intonation. Otherwise, a really fine article for those wanting to know more about what makes barbershop so special! You're welcome! It's the harmony that drew me to it almost forty years ago! Jon: Thank you for succinctly stating that Barbershop has some unique features that define it. Recent posts in social media suggests that some think a cappella is the most important element of Barbershop singing. The name of the Society is the Barbershop HARMONY Society, and many of the defining musical elements that relate to Barbershop lies in that word: Harmony. Thank you for centering the discussion. Typically, the tenors and baritones will adjust their notes, as they tend to be on thirds and sevenths more often than the other two parts. Thirds are slightly flatted and sevenths are flatted even more. Basses sing a lot of fifths, and those are often sharped ever so slightly. 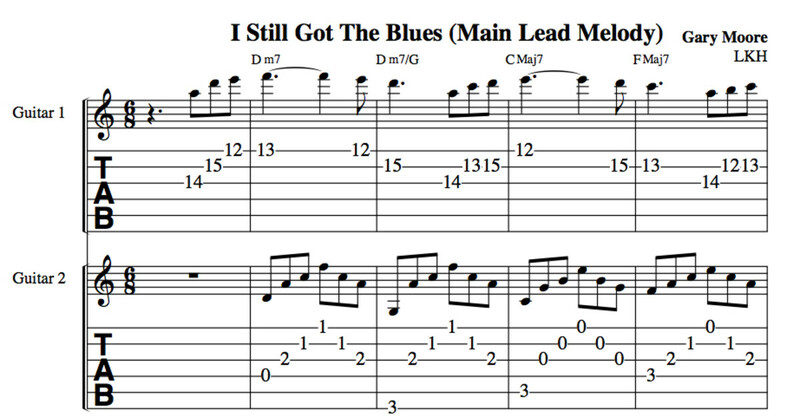 The lead (or whomever is on the melody) tries to stay true to the tempered scale, though there are times when he adjusts into a chord when certain progressions occur around his notes. All four singers try to keep the key note in the back of their minds. The best quartets do this amazingly well, but the average quartet tends to go flat during a song. When this happens, the three harmony parts tune to the melody to keep things sounding pleasant. Imagine that one of the horns in a brass quartet suddenly goes out of tune during a song. The other horns are forced to play in the original key, as they cannot be re-tuned on the fly. In an a cappella group, if one singer goes flat, the others can quickly adjust down so that the rest of the song sounds fine. The Pythagorean Scale has limitations in that it does not allow for thirds to be sharpened or flatted. It was an early system that followed simple ratios based on the perfect fifth and the perfect fourth. There are some instruments that can use Just Intonation: Trombones, bagpipes, and violins, for example. There are healthy debates still taking place today about how to best tune barbershop chords. Ultimately, it comes down to personal preference, though that idea drives some people nuts! Which singers adjust their notes slightly up or down? Does anyone stay on the note played on the pitch-pipe? If everybody uses their ear, how to keep in tune? How does the pythagorean scale figure in this? I've been singing Barbershop for 30 years and that sang was a beautiful demonstration of how it works. Thanks for that and all of this great information. Yes, that's Mike, but he's singing tenor! Please can you tell me who is singing Bass? Is it Mike Saverin?